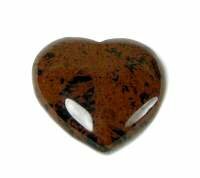 Nuummite puffy heart shaped gem stone is beautifully polished and is an earth element stone that offer us the gift of inner power. It has been used to teach one that constraints placed upon a person are self imposed and easily discarded. It helps one to decide with the heart what is really important and to initiate the release of any binding ideas. 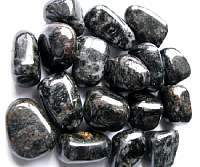 Nuummite is an excellent stone to shield one from many forms of negative energy. 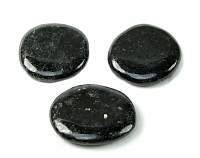 Having a piece of Nuummite on your person brings in protection and shielding on the physical and emotional level. 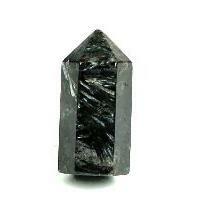 This crystal can also protect against negative vibrations of pollutants at the physical level. 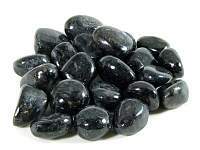 Nuummite crystal reduces anxiety and stress. 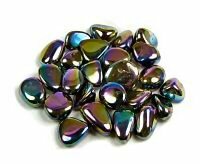 Nuummite can assist one in seeing behind facades, promoting understanding of what lies beneath words and actions. 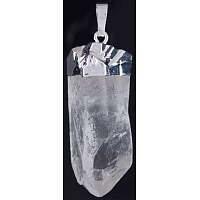 This crystal stimulates intellect, enhances memory, promotes recall, intuition and psychic wisdom. It assists with change, attracting strength and perserverence. 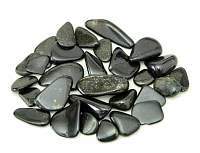 The iridescent quality of Nuummite induces a gentle vitality for pursuits in the spiritual realm and assists in the alignment between the spiritual self and the psychic and astral planes. 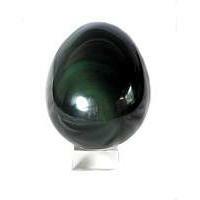 This healing crystal is used in general healing and tissue regeneration. It has been used to relieve pain associated with headaches and degerative disease. It can also be used for treating disorders of the throat,eyes and speech. 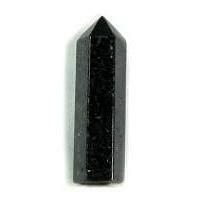 This crystal can be used to open, activate, integrate, balance and align all chakras. It is useful for removal of energy blockages. The base color is dark black and has iridescent flecks of gold.